U.S. House Prices Forecast 2016, Crash or Continuing Housing Bull Market? Despite house prices having ended 2015 about 5% higher, apparently the US housing market is still on the precipice of a bear market, collapse, crash or even worse! And one does not have to look far for such prevalent housing market doom. Even much of the mainstream press is infected with such expectations as pundits have taken the prospects of a US economic slowdown as further signs for the imminent demise of the US housing market latching onto the likes of Saudi Arabia's war on the US shale oil industry, China's fast decelerating economy, and then we have the prospects for further Fed interest rates hikes during 2015. The only problem for the doom merchants is that they have been banging the same drum for the duration of the housing bull market that has literally ridden a wall of worry for near 4 years now since the early 2012 bottom. Where house prices are concerned, rather than listing a long series of pronouncements from those who in large part will be unknown to most readers, I will just focus on the widely recognised King of U.S. housing market data, Prof. Robert Shiller who has been consistent in warning not just against high housing market valuations but also for stocks. "I'm thinking they (Fed policy makers) ought to be considering that, because that is the mistake they made in the past," the Yale University professor told CNBC Europe's "Squawk Box" when asked whether he believed the Fed should raise interest rates soon or later on. "They didn't deal with the housing bubble that led to the present crisis. There's a suggestion in my mind that they should be raising rates now, (but) unfortunately the latest news looks a little weak on the demand side," Shiller added. CNBC - 19th August 2014. “How can it be that people think we can’t get a riskless return in real terms for 30 years? There’s something bizarre. That looks a little bit like a bubble as well. So the whole thing might correct—both bonds and stocks,” Shiller said. Shiller said he’s also been “kind of surprised” by the housing market, which is up around 25% since the 2009 low (and even more in some cities). Shiller looped back to his weekend article, which laid some but not all of the blame on the idea that anxiety can actually spur investors to grab on to any available asset, pushing up prices. “Worries about the future can actually cause asset markets to be priced highly … When the Titanic was going down, people would pay a fortune for anything that floats. I’m exaggerating, of course, but that might be the situation we’re in now,” he said. So what do academics repeatedly miss ? They miss the significance of MOMENTUM and SENTIMENT on TREND which is ACCUMULATIVE as I have covered many, many times over many years. So enough of the academic noise that the mainstream press tends to regurgitate as academic theories and sales pitches from the financial industry, instead here is my real take on the current state of the U.S. housing market in terms of PRICE momentum for at the end of the day all that matters is what the PRICE is doing. 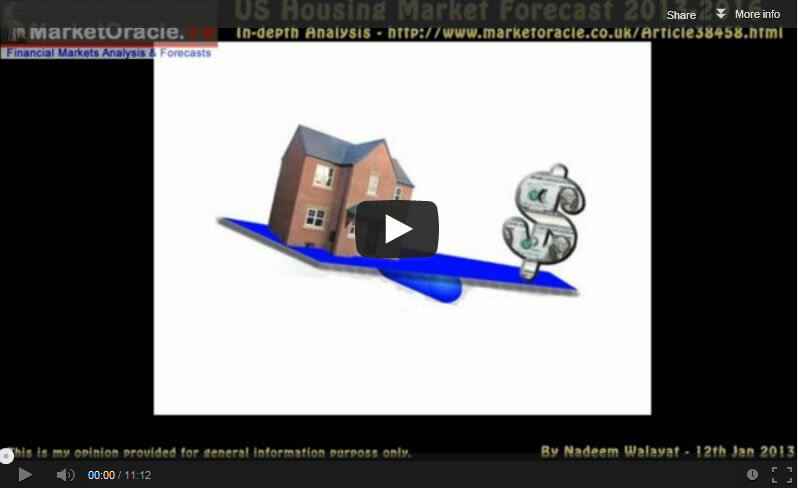 The in-depth analysis and concluding trend forecast was also published as a video during Jan 2013. "Prices have to fall, they are still much too high, and I think any body who is clinging to the hope that the real estate market has bottomed really should rethink those assumptions"
And as far I can see has consistently remained bearish for the duration of the U.S. housing bull market. CK: You are notorious for making bold predictions. Of course, we can go back and look at those famous predictions you made leading up to that housing crisis in market crash in ’07. Is 2015 shaping up to be a disaster year or is it too soon to know at this point? PS: Well, 2015, we are not quite half over yet. My guess is that and this is not going to be the year when it hits the fan. I do believe though that when the Fed does not raise interest rates the dollar will start to decline. 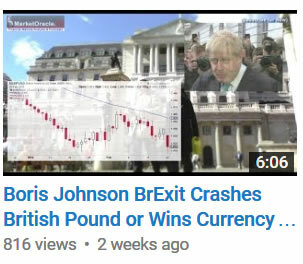 But since it had such a big rally it has got a long way to drop, I think, before it would get into a situation that would cause a potential currency crisis which is where I think the end game is. But we could have something like that in 2016 or 2017. But I do think the end is near as far as when this crisis is going to occur. But it is certainly possible that something happens in 2015. It is just hard to handicap it because you have got so many people that have no idea what is going on, and it is just a question of when are they going to open their eyes? When are they going to figure it out? In the housing market I was criticizing, pointing out the bubble, warning up the implication for years before the thing finally blew up. You just do not know how long it is going to take. Sometimes the bigger the bubbles are the longer they can last before people recognize them. Eventually, when they top, of course, the bigger they get the bigger the pop. Peter Schiff, predicts that the Fed will lower interest rates back to zero and begin QE4 before the November presidential elections. Schiff also believes a 2007 style crash is coming to the real estate market. The latest U.S. house prices data released for December 2015 (197.21) shows that U.S. house prices are currently showing a -2.5% deviation (202.4) against my trend forecast as it enters its final 3 months. The XHB chart shows that home builder stocks tend to under perform the Dow average when house prices momentum slows and tend to out perform when house price momentum accelerates, as house price momentum has been slow for the past 4 months on the most recent data release to Dec 2015 and so as the XHB under performed. Overall the XHB is not flashing any significant warning signals of the prospects for doom being around the corner. So yes home builder stocks are weak, but so is house price price inflation in its current range of +4% to +5% against +14% of 2 years ago, with little sign that home builders are set to outperform the Dow which implies neither to expect house price momentum to surge higher anytime soon. Rising US Interest Rates Bad News? Apparently the US is going to raise interest rates between 3 to 5 times this year, which has been taken by the perma doom crowd as clear harbingers of an end of the housing bull market. Whilst my take on US interest rates is pending an in-depth analysis. However, what impact are rising interest rates likely to have on the housing market? We'll rising rates are going to act as an incentive to get those who have been sat on the fence watching and waiting for house prices to FALL to BUY BEFORE MORTGAGE RATES RISE. So in effect for 2016 at least, the prospects for rising interest rates (whether they actually materialise or not) is a net POSITIVE for the US housing market, which again is contrary to the consensus view. US House Prices Crash or Bull Market 2016? So are the doom merchants finally about to be proven right? Are US house prices on the edge of a collapse where literally any one of number of possible bad news stories could tip house prices over the edge of a cliff ? Or is the US housing bull market likely to end 2016 with another year of decent gains? Well, whilst my detailed multi-year trend forecast is pending completion of further inter market analysis such as on US interest rates, economy and the dollar. However, ongoing accumulative analysis does not suggest that an end of the bull market let alone a crash is on the horizon for the whole of 2016. Whilst the momentum chart clearly demonstrates stable well supported house prices in the range of +4% to +5% and with this being an election year implies to expect marginal strength for 2016, thus targeting a gain of at least 5% for the year. So when the dust settles by the end of this year (early March 2017 when the actual data is released), US house prices will likely end 2016 with another year of stable, sustainable gains of at least +5% and probably nearer to +6%. A little over a month on from the Bank of Japan's panic announcement for negative interest rates and money printing. Now it was the turn of the ECB to PANIC by firing it's own inflation bazooka in what is commonly termed as the currency wars (competitive devaluations) as nations attempt to import inflation and export deflation by means of manipulating exchange rates. This weeks ECB PANIC followed euro-zone inflation turning negative again (CPI -0.2%) and with virtually the whole of southern europe in a permanent economic depression, with debt mountains continuing to balloon in a perpetual state of imminent bankruptcy of the whole of southern europe as ALL central banks ONLY really have ONE objective which is to INFLATE debt mountains away for which they CREATE INFLATION by means of MONEY PRINTING and so without inflation the debt cannot be serviced. And so the ECB cut already negative interest rates further from -0.3% to -0.4% for deposits held at the central bank, i.e. it costs the banks money to park their deposits at the central bank. Whilst also cutting the main financing rate to zero, thus allowing the banks to borrow at 0% from the central bank. 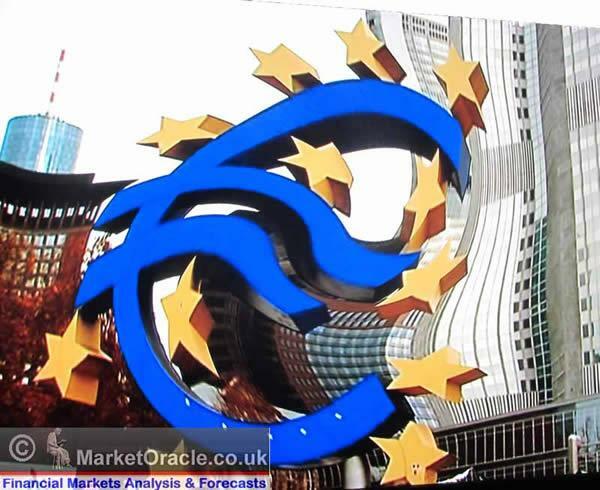 And lastly to increase the amount of QE money printing from Euro 60 billion to Euro 80 billion per month mainly aimed at buying corporate bonds on top of government bonds (debt) thus forcing market interest rates lower by flooding the markets with billions of freshly printed euros (electronic) each month. So what's going to be the REAL consequence of the ECB announcement ? We'll look at the stock markets, look at the housing markets because as has been the case for ALL QE announcements so will it be for the ECB's of INFLATING ASSET PRICES! Which means the perma bears are likely going to waste another year banging their heads against easy money driven bull market brick walls. However, the problem at the heart of the euro-zone remains as I have literally voiced for the whole of this decade for the fundamental fact that the whole of southern europe and even France cannot compete against Germany without competitive currency devaluations which they are unable to do because they all use the SAME currency and so their economies are relentlessly being ground into dust, the only real solution is for the euro-zone to breakup into several smaller currency blocks. Whilst the alternative to this is for a full fledged political union which the euro-crat elite favour so that transfer payments from the likes of Germany take place to virtually the whole of the rest of the euro-zone in perpetuity, something that the German people are very unlikely to allow to happen for the obvious ultimate hyperinflationary consequences. Which means the tax payers of Germany and France are effectively trapped into a lose, lose situation, where the only solution is for either collapse of the euro currency (savers wiped out) or for total political, economic and monetary union which means permanent financing of states such as Greece by means of internal transfer payments as occurs in nation states where wealthier areas are taxed to subsidise the poorer areas (UK example - London / South East subsidises most of the rest of the country). 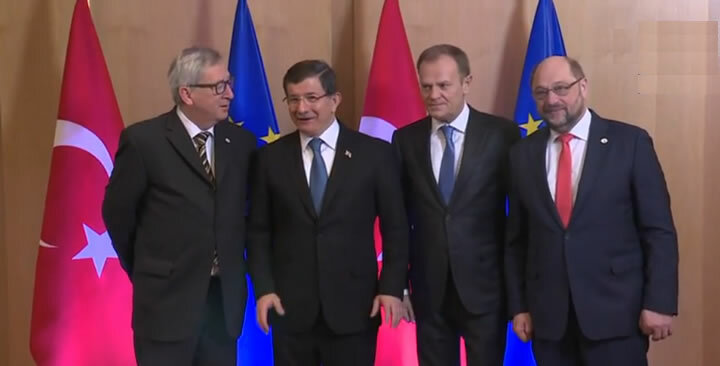 And continuing with the theme of the European Union in permanent crisis, the latest news is that the Turkish totalitarian regime headed by their very own version of Czar Putin, Erdoğan, who the people of Turkey affectionately refer to as Golam, have finally succeeded in their year long building blackmail of the European Union as Turkey successfully wages an ever worsening migrant war against the EU, a EU that lacks a firm centre to make tough decisions which regimes such as Turkey can quite easily bend in their favour. And so today it looks like that a gullible clueless bureaucratic EU has succumbed to virtually every Turkish blackmail demand that to avoid a further doubling in the Migrants War flows into the EU via Turkey that currently stands at TEN times that of a year ago, will now be forced to pay a demanded Euro 6 billion, doubling form the amount demanded just a few weeks ago of which approx Euro 700 million will be extorted form the UK. All of which is under the guise of helping the migrants despite all of the cash rather than going to the migrant camps instead will go to the Turkish regime, 90% of which is likely to be siphoned off by the Turkish Elite. Turkey's front men and women can be seen pumping out propaganda a across the gullible broadcast media, one of hosting 2 million refugees whilst conveniently ignoring the fact that Turkey is PROFITING from the migrants, all the way from the Turkish government siphoning off state donations meant for the refugee camps to the hundreds of small enterprises producing and selling FAKE life jackets, to charging refugees RENT, for crowded accommodations. And not forgetting the Turkish people smugglers who are generating over euro 2 billion per annum in fees charged for smuggling migrants into Greece. So as the most recent news illustrates, do not be under any illusion about the game Turkey is playing both in terms of profiting from the refugees and then using them to blackmail Europe into attaining billions more and visa free access for 80 million turks. Turkey is demanding that literally within days of Britians EU Referendum vote in June that ALL 80 million turks should be allowed visa free movement of travel to the EU in exchange for better control of the 1 million or so of economic migrants that are expected to head for the EU via Turkey this year. EIGHTY MILLION allowed free movement to travel which WILL BE for WORK within the EU that would amount to a migrant apocalypse that will make today's crisis look like a picnic! As for instance in Britain 4 million poles would soon to be supplemented by at least 1 million Turks! This will be disastrous for the British people as wages and quality of life will be further DRIVEN towards third world levels of the likes of Greece, that itself has flooded Britain with at least 250,000 economic migrants. What the baldrick's at the EU have failed to comprehend is the fact that following visa free access for 80 million Turks that a new industry will soon spring up in Turkey of Turkish officials profiting from selling false Turkish ID documents to the migrant refugees just as today they sell fake life jackets. Therefore ironically today's EU agreement with Turkey rather than reducing the migrant flows, will instead effectively open the gates of hell as virtually EVERY migrant will then be able to enter the EU with false Turkish documents. Therefore Turkey along with Czar Putin's Russia are using migrants as a weapon of war against an inept european union, where one seeks to extort from whilst the the other seeks to destroy. 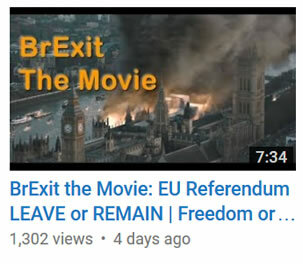 This just confirms what I voiced many months ago, that the european union may not even survive until Britain holds it's referendum, which could go bust in spectacular style as a consequence of one Panic measure too far. And remember that BrExit will not just mean freedom for the people of Britain but also the start of freedom for the peoples of the whole of Europe as BrExit should mark the start of the END of the European Project before it fully morphs into a EUSSR superstate. 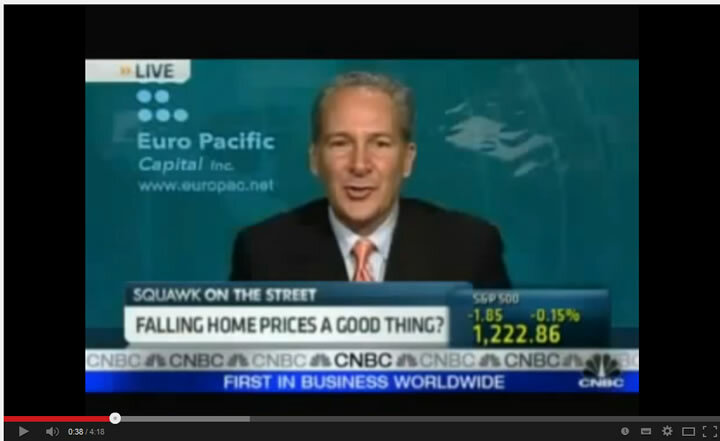 Hi Nadeem, looking forward to your US House Prices multi-year forecast that as of March was forthcoming. When will this analysis be completed? Thank you for your continued spot-on work as always.